Various wreath icons isolated on white background. 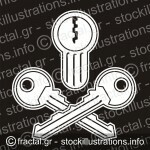 Lock and crossed keys isolated on black background. 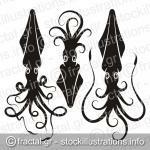 Three decorative squid silhouettes isolated on white background. 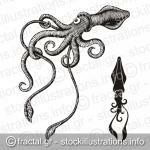 Black and white monster squid woodcut. 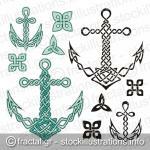 Anchor illustrations inspired from Celtic knot designs. 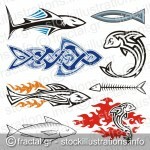 Black and white tribal icon of a crab. 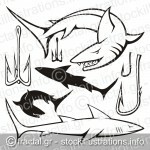 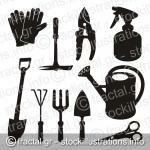 A set of gardening tool silhouette icons isolated on white background.